It is believed that communities of practice (CoPs) more and more frequently become a critical success factor for contemporary organisations. This article, following the network organisation paradigm, identifies the most important properties of CoPs, presents CoPs capacities in the socialisation, externalisation, combination, internalisation (SECI) knowledge spiral model, and suggests information technologies that support the work of CoPs. Theoretical considerations are contrasted against empirical research results obtained in 2008 while examining 160 organisations in Upper Silesia, the most industrialised and densely populated region in Poland. The 20th and 21st centuries witnessed vast changes in management, viewpoints, perception of corporate success and capacities for supporting enterprises by means of information technology tools. There was some transition from rigid boundaries of organisations and sectors towards symbiotic systems where all stakeholders shaped their organisation value. Traditional components of competitive advantage are being now replaced with the level and quality of relationships between organisations and their environments. Organisations have to undertake effective actions internally but they must also co-operate with their partners including customers, suppliers, sector experts and other informal community groups. Simultaneously, it is observed that institutional acting and learning that both involve the implementation of already verified and standardised methods are not sufficiently effective. More and more frequently, informal processes and communities of practice (CoPs) become critical success factors. The communities in question spontaneously exchange knowledge and, what is more, learning is an integral part of their work. They are believed to play a major role in creating and transferring knowledge particularly including tacit knowledge along with unique skills into organisations. The article aims at presenting the role of CoPs in supporting knowledge management and processes of organisational learning. Simultaneously, information technologies and tools that support functioning of CoPs are suggested. Theoretical considerations are contrasted with the results of the research that was carried out in 2008. The research employed a technique of a standardised interview accompanied by a questionnaire with organisations that are based in Upper Silesia – a Polish region that is undergoing rapid economic development. The region in question is the most densely populated and the most industrialised area in the country. Results were aimed to show the CoPs usage level in knowledge management and organisational learning. Moreover, potential reasons for the unsatisfactory level of CoPs usage in Polish organisations were sought. 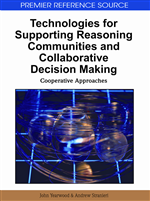 The theoretical and practical research results that are presented in this article provide organisations with valuable guidelines to be followed while using CoPs in order to manage knowledge, while selecting information technologies and tools that may effectively support any work undertaken by CoPs and while identifying barriers that prevent organisations from using CoPs.